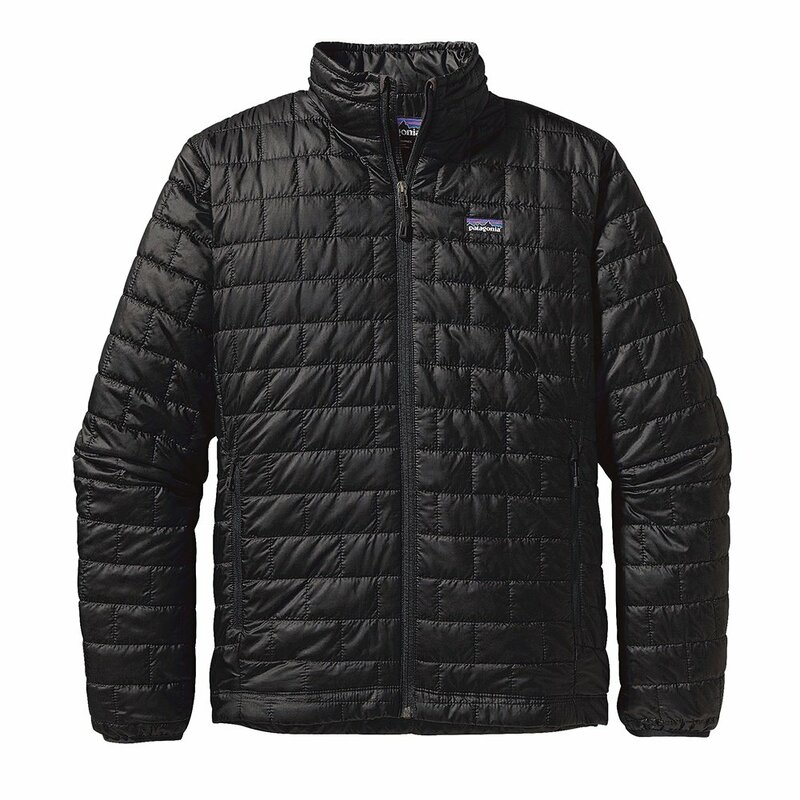 A super-light, warm jacket with built-in water resistance, Patagonia's Nano Puff® Jacket keeps you covered. Its 60g PrimaLoft® Gold insulation is puffy and warm out on the trail or in the snow, but small and compressible when it's time to pack up. The brick quilting pattern keeps the insulation stable and uniform. The tough ripstop shell fabric is treated with DWR to keep light moisture from sticking around. Other features include dual hand warmer pockets, an internal chest pocket that doubles as a stuff sack, and a drawcord, drop-tail hem. "My son is about 5'9" and weights about 165-170 lbs. What size would he wear?" "We would need some more information before being able to provide you with a proper size recommendation. Chest, waist and hip measurements would be needed. " Great jacket for hiking and backpacking. I use this jacket when backpacking. It works well for cool evenings in the 40 - 60 degree range. Very lightweight and compact.